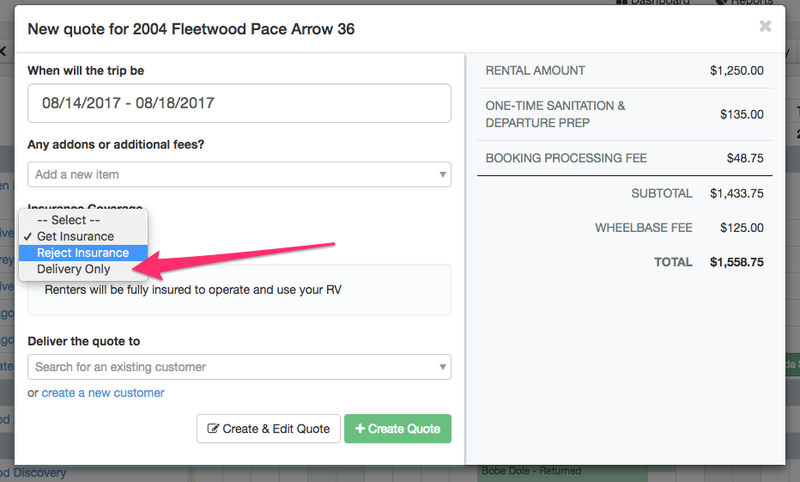 What is the "Delivery Only" Option for Wheelbase's Opt-In Insurance Offering? When selecting insurance coverage options, you are presented with 3 options, Reject Insurance, Get Insurance, and Delivery Only. Should be utilized only when you are delivering and picking up your unit from a booking and the renters WILL NEVER BE DRIVING THE VEHICLE. 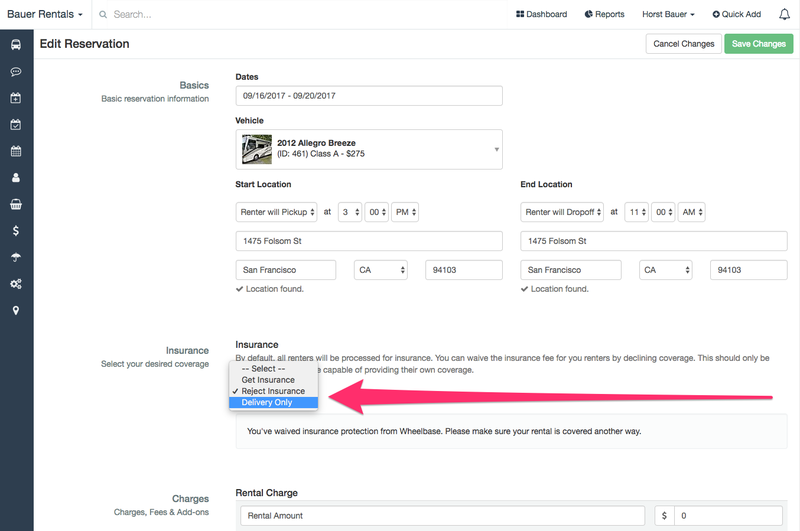 Adds insurance protection to rental period just like standard "Get Insurance" option. All normal fees apply. DIFFERENCE: Wheelbase will not require the Driver Verification for the renters, as the renters WILL NOT be driving the unit ever. You will be delivering it and picking it up from the site. REMEMBER: Your Delivery Drivers (this may include you) must be entered and passed as verified drivers in the Delivery Drivers section of your Account Settings. Insurance coverage is the same as with the standard "Get Insurance" option. The delivery driver, if approved, will be covered to and from the delivery with the $1M liability insurance as well.